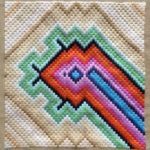 Needlepoint is a sister to both embroidery and cross stitch but the difference is that you cover the entirety of your canvas with your stitches. 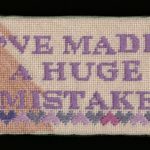 It is for that reason that needlepoint is very slow. 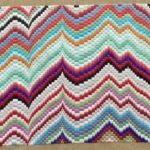 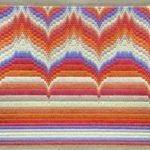 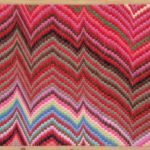 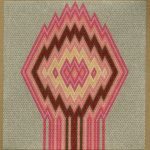 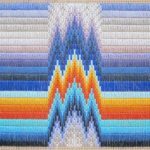 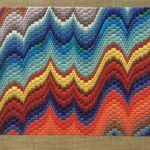 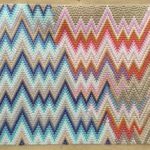 In needlepoint I’ve experimented with altering traditional abstract styles. 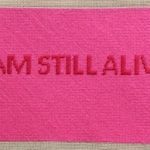 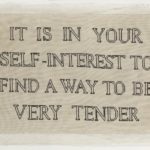 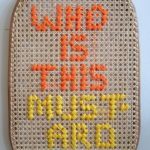 But I also enjoy word play, so some of my needlepoint work is text based.